Jean Lafitte was born around the year 1776 to a French family. Little is known about where he was born though, and theories on where he was born say that he could from St. Malo, Bordeaux, Orduna, or even Westchester, New York. Most agree, though, that Jean Lafitte worked with his brother, Pierre, who was either a privateer or smuggler. By 1806, Pierre's work had brought them to New Orleans, where Jean Lafitte would spend a large chunk of his career. New Orleans had become part of the United States in 1803 with the Louisiana Purchase. New Orleans was a major trading port in the Caribbean, but their foothold in Caribbean trade was weakened by the Embargo Act of 1807. This Act said that American ships were no longer allowed to go into any foreign ports. This was a major problems with merchants who got their goods and supplies from European colonies in the Caribbean. This Act, though, opened up the door for smugglers, two of which were the Lafitte brothers. Jean Lafitte set up a smuggling business on the island of Barataria, which was located outside Barataria Bay, the home of New Orleans. Barataria was far from the United States naval base, which allowed Lafitte to smuggle in goods. Jean Lafitte, would receive and buy goods from smugglers, which he would then transport into New Orleans, where Jean's brother, Pierre, would put the goods on the legal market. Soon, though, the Lafitte brothers decided to become smugglers themselves, so they bought a schooner and hired Captain Trey cook. Soon, the Lafitte brothers had captured two more ships, the Dorada and the Petit Milan. With their small fleet, the Lafitte brothers were able to acquire goods and sell them at Barataria. Their smuggling did not sit well with the government, and the Lafitte brothers were captured and charged, but they posted bail and never showed up for the trial. Jean Lafitte acquired a letter of marque from Cartagena, which Lafitte used mainly as a reason to continue attacking ships. Louisiana's Governor Claiborne became fed up with Lafitte and offered a $500 dollar reward for him. He also attempted to raid Lafitte's camp at Barataria several times. When the United States declared war on Great Britain, Lafitte was approached by the British, offering him British citizenship and land in return for help in the war. Lafitte, however, refused, and decided to stay neutral as the war played out. In 1814, United States commodore Daniel Patterson attacked and took Barataria. Along with 80 captives, Patterson took eight of Lafitte's ships, though Lafitte escaped the raid alive. Lafitte reappeared when Andrew Jackson was preparing to defend New Orleans from the British in December of 1814. New Orleans had weak defenses and few soldiers, so Jackson met with Lafitte, offering to pardon Lafitte and his men if they helped to defend the city. Lafitte agreed, and suggested several of the battle strategies used in the fight. When British ships began firing on American lines in on the 28th of December, two of Lafitte's lieutenants led the artillery crews that repulsed the ships. After defeating the British, the United States government granted Jean, Pierre, and Lafitte's crew full pardon. Pierre and Jean Lafitte, in 1815 and 1816, acted as spies for the Spanish during the Mexican War of Independence. Pierre would inform the Spanish from New Orleans, while Jean went to Galveston Island in Spanish Texas to capture it. In 1817, Lafitte captured the island and the Spanish allowed Lafitte to stay there if he gave weekly reports of the events that took place. Lafitte turned Galveston, like Barataria, into a smuggling base. Lafitte avoided conflict by continuing to report to the Spanish, but sailing under the Mexican flag. When the United States banned the slave trade, Lafitte found a loophole. Lafitte would capture slave ships from other countries. If Lafitte turned these slaves that he captured to the customs office, he could get half the profits from the sale of the slaves. After one of Lafitte's ships attacked an American merchant ship in 1821, the USS Enterprise came to remove Lafitte from the island. Lafitte agreed to leave Galveston without a fight, though he took an immense amount of treasure with him. Lafitte continued to smuggle, but when the United States increased its patrols in the Caribbean, Lafitte was captured after he attacked an American ship. He escaped prison four months later. Lafitte moved his operation to Cuba, where he bribed local officials with a portion of the spoils. When Lafitte continued to attack Cuban ships, Cuba decided to ban sea raiding in 1822. Lafitte left Cuba and went to Colombia, who was hiring former privateers to be part of its navy. Lafitte was given a ship, the General Santander, and was authorized to attack Spanish ships. He raided Spanish shipping lanes for another year. In February of 1823, Lafitte attacked two Spanish ships off the coast of the Honduras. The ships appeared to be merchant vessels in the cover of night, but they turned out to be two heavily armed warships. 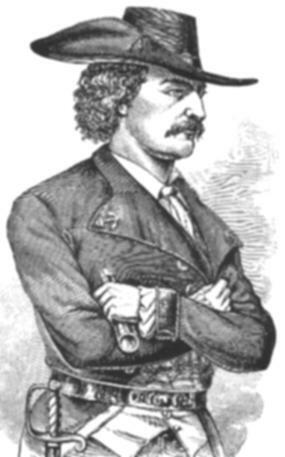 In the resulting battle, Lafitte is said to have been killed. He was buried at sea, receiving obituaries in newspapers both in Cartagena and Colombia, but not in the United States. Lafitte is on our list because he was one of the most infamous pirates ever to sail. Also, Lafitte and his men helped the United States to win one of its most important battles: the Battle of New Orleans. Without him, Jackson may not have succeeded in defeating the British. He was also on our list because he was the last great Caribbean pirate. By 1825, piracy in the Caribbean was all but completely eradicated. Lafitte succeeded in a world where the pirates were dying out. He was able to survive in a world when Spain, Britain, and the United States wanted him dead.